Arthur Cobby was born in Melbourne, Australia, on 26th August, 1894. Cobby worked as a bank clerk until he joined the Australian Flying Corps on 22nd December 1916. 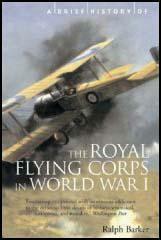 Cobby arrived on the Western Front in 1918 and during the next few months, flying a Sopwith Camel, he had 29 victories. Captain Robert Little and Major Roderic Dallas were the only Australian flying aces who shot down more German aircraft. Arthur Cobby died on 11th November, 1955.